Research again shows rats display empathy so why do we torture them in labs? Rats are once again in the news. About a month and half ago I published an essay called "The Emotional Lives of Rats: Rats Read Pain in Others' Faces" in which I discussed research that showed that rats are able to read the pain that other rats are suffering. This study adds to an ever growing list of research projects showing that rats have evolved rather rich cognitive and emotional capacities including showing regret (please see "Rats Regret What They Didn't Do: Behavioral Neuroscience") and displaying empathy and freeing trapped rats from being restrained (please see "Empathic Rats Free Known Trapped Rats From Being Restrained"). In the latter experiment (please see Ben-Ami Bartal, I., Decety, J., & Mason, P. 2011. Empathy and pro-social behavior in rats. Science 334, 1427-1430) the rats would even free other rats rather than selfishly feast on chocolate. In response to these studies I've received comments such as, "Oh really, I didn't know that" and "Wow, who would have thought rats would display empathy for others?" We also know that rats like being tickled (please see "Rats Like Tickling: Why Is the Animal Welfare Act So Lame?") and laugh when being tickled. In addition to these excellent research projects a new study shows that rats will rescue drowning rats rather than eat chocolate. A good review of this study can be found in an essay by Emily Underwood called "Rats forsake chocolate to save a drowning companion." It's known that rats are able to swim but don't really like it so in this study rats were forced to swim in a pool but there was no risk of drowning, unlike the horrifically inhumane research of Curt Richter who allowed rats to drown after giving them hope that they would be saved. You can read about this incredibly sick and sickening research project in my essay called "Drowning Rats and Human Depression: Positive Psychology for Whom?" Helping behavior is a prosocial behavior whereby an individual helps another irrespective of disadvantages to him or herself. In the present study, we examined whether rats would help distressed, conspecific rats that had been soaked with water. In Experiment 1, rats quickly learned to liberate a soaked cagemate from the water area by opening the door to allow the trapped rat into a safe area. Additional tests showed that the presentation of a distressed cagemate was necessary to induce rapid door-opening behavior. In addition, it was shown that rats dislike soaking and that rats that had previously experienced a soaking were quicker to learn how to help a cagemate than those that had never been soaked. In Experiment 2, the results indicated that rats did not open the door to a cagemate that was not distressed. In Experiment 3, we tested behavior when rats were forced to choose between opening the door to help a distressed cagemate and opening a different door to obtain a food reward. Irrespective of how they learned to open the door, in most test trials, rats chose to help the cagemate before obtaining a food reward, suggesting that the relative value of helping others is greater than the value of a food reward. These results suggest that rats can behave prosocially and that helper rats may be motivated by empathy-like feelings toward their distressed cagemate. "We help because it's in our biology." As Ms. Underwood writes, rats "did not open the door when the pool was dry, confirming that the rats were helping in response to others' distress, rather than because they wanted company, Mason says [Peggy Mason is a neurobiologist at the University of Chicago in Illinois who was not involved in this work but was involved in earlier research on empathy in rats]. Rats that had previously been immersed learned how to save their cagemates much more quickly than those who had never been soaked, suggesting that empathy drove their behavior, she [Mason] adds." And, "Not only does the rat recognize distress, but he is even more moved to act because he remembers being in that situation." Furthermore, "People differ from rats in many ways, but the study supports a growing body of evidence that there's an evolutionary basis for helpful behavior, independent of culture or upbringing, Mason says. 'Humans are not helping purely because mom taught us to help,' she says. 'In part - and to what degree remains to be seen - we help because it's in our biology.'" The federal Animal Welfare Act does not keep up with research findings but it must. One would think that based on these research findings published in prestigious peer-reviewed journals that the US federal Animal Welfare Act would grant rats at least some protection. Nonetheless, the federal Animal Welfare Act doesn't protect rats (or millions other animals) and rats aren't even considered to be "animals." I realize that some might be incredulous to learn that rats aren't animals but a quote from the federal register does in fact read, "We are amending the Animal Welfare Act (AWA) regulations to reflect an amendment to the Act's definition of the term animal. The Farm Security and Rural Investment Act of 2002 amended the definition of animal to specifically exclude birds, rats of the genus Rattus, and mice of the genus Mus, bred for use in research" (Vol. 69, no. 108, June 4 2004). How in the world do you explain to a youngster (or anyone else, for that matter) that these animals are not animals? It strains credibility that those writing the AWA can so easily get away with such rubbish. As stunning and absurd as this may seem, their exclusion from protection means just about anything can be done to rats "in the name of science." And, indeed, rats do find themselves on the receiving end of the most egregious and brutal treatment at the hands of researchers. 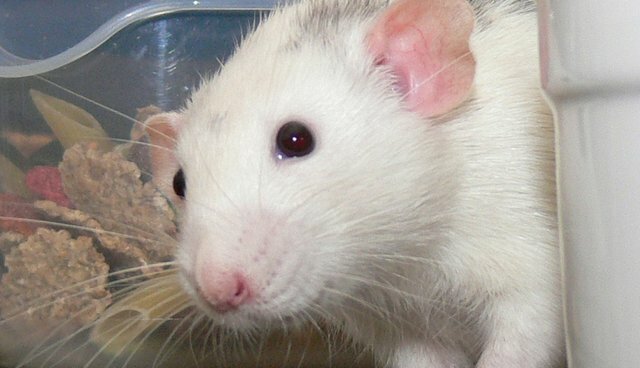 Legislators and researchers should rally to stop harming and killing rats. Research continually shows that rats have highly evolved cognitive and emotional capacities so why do we continue to torture them in labs and refuse to recognize their membership in the animal kingdom? Isn't it about time that legislators factor research findings into their regulations protecting other animals? Of course it is, so let's all write members of congress today and encourage them to do so. And, wouldn't it be nice if researchers themselves got involved to protect these fascinating sentient beings. After all, many researchers come to know rats up close and personal - some even name them - and you'd think they would be the most likely people to say something like, "Okay, enough's enough, we can't continue to use and abuse these amazing animals so let's stop doing it."